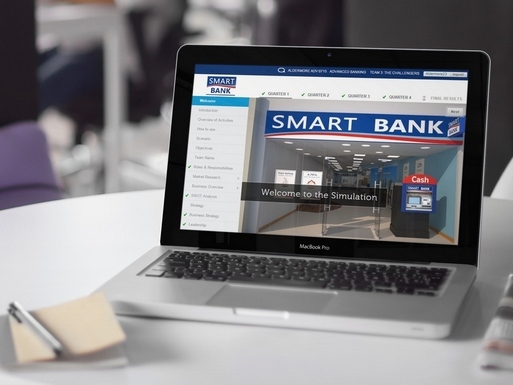 Our Banking Simulations are designed specifically for developing the commercial awareness of managers and staff within the banking, building society and finance sector. The simulations help develop essential insight into successfully leading a financial institution in the current economic climate. Participants are immersed into a real and authentic environment where they take the role of a leader in the organisation and are required to make strategic, tactical and functional decisions to deliver success in each quarter. The scenario is developed on the most up to date and relevant content from the financial sector. With the options available this can be centred on a generic bank or indeed your actual organisation, as it’s also possible to have this simulation tailored or completely customised to your requirements. Also, by adjusting the complexity level of the simulations they can be used for all levels of managers and staff across the business, including: Graduates, Talent, Branch Managers & Head Office Staff. "I thought the course was exceptional and probably the best course I have attended in my 12 years at the bank." 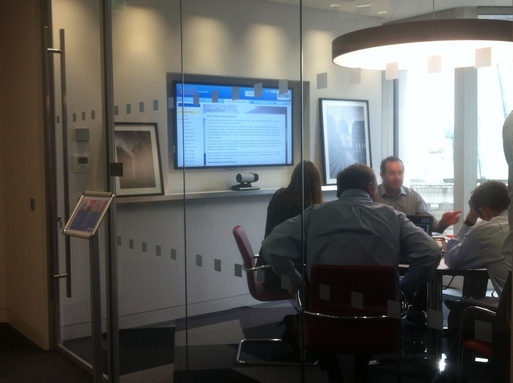 "Fantastic experience which has really raised my awareness of how such a large business operates"
To find out how our range of banking simulations could be used in your organisation, please contact us to request more information or to arrange a time to speak to one of our team.